Via Francigena connects Canterbury, England to Rome, Italy. The complete route covers 1,000km. However the route is divided into sixteen (16) individual walks, each one approximately averaging 63km – pick and choose. 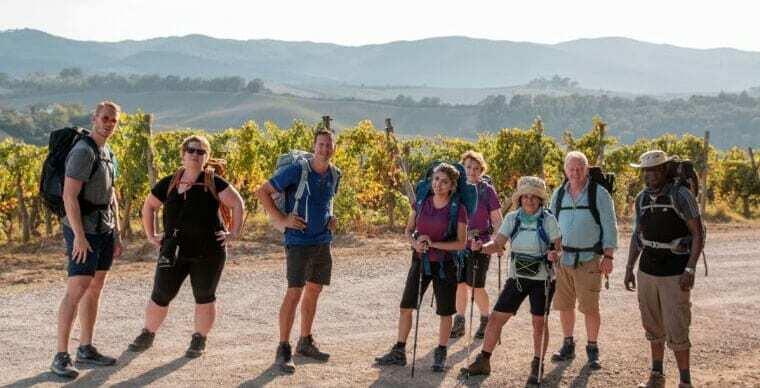 If you’re interested in experiencing the Via Francigena challenge yourself, one Foot Abroad is based in Dublin and has been customising Walking Holidays on the Via Francigena for over 10 years. We offer hand-picked Half-Board accommodation in hotels and guesthouses on all pilgrimage routes and include luggage transfer, walking maps and notes, and 24/7 emergency customer care in our packages. A three-part series called Pilgrimage: The Road To Rome is being broadcast on BBC2. The documentary ‘explores how relevant the medieval rites of pilgrimage are in today’s society’ and does this by getting eight celebrities to challenge their beliefs and live as modern-day pilgrims, taking on the ancient 2,000km Via Francigena. The group spends 15 days joining hundreds of other pilgrims along the 1,000km pilgrim path. 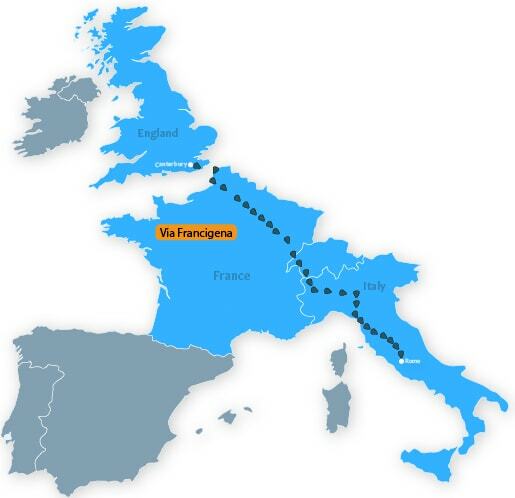 The ancient road of Via Francigena that connects Canterbury, England to Rome, Italy, is a popular pilgrimage route that spans four countries – England, France, Switzerland, Italy. This route will enchant you with stunning Tuscan views to regions with rich World War I/II history. This popular walking path is said to be challenging but rewarding as the beautiful scenery and magnificent points of interest, which range from lakes to castles, make it worthwhile. The journey gives them a chance to reflect on their experience and challenge their beliefs as well as discuss ethical and spiritual issues along the way. SELF GUIDED: The Last 100km - Stretching from Canterbury, England to Rome, Italy this is easily the longest route we operate. 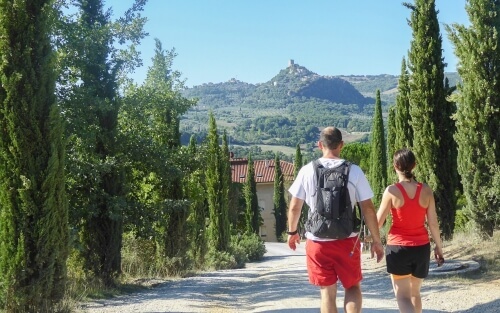 The final section of the Via Francigena takes you from the charming city of Viterbo through the Italian countryside to Rome. Standing in the Vatican City is truly the pinnacle of this adventure. SELF GUIDED: With five days and four nights to enjoy the Italian countryside, this tour allows you to experience traditional Italy. At every stop, you can enjoy the local wine, cuisine, and rich cultural practices. 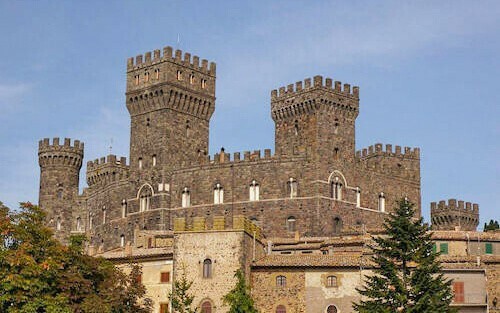 After touring the countryside, the tour ends in Viterbo, home of the Papal Palace. 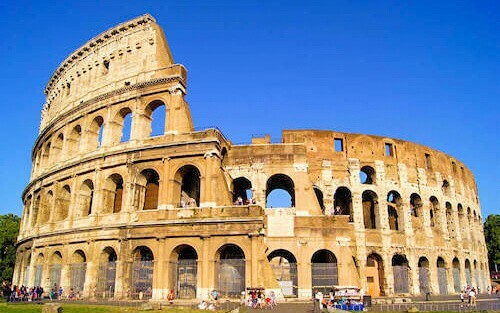 SELF GUIDED: Consisting of cycling for nine days, this holiday will travel from Lucca through Tuscany and into Lazio, finally ending in the eternal city: Rome. Throughout the holiday, you will have the chance to embrace Italian culture, explore the beautiful countryside, and enjoy the scenery all around you.